Standard model of the TF 65/20 E with a pneumatic/mechanic solution cut-off device. 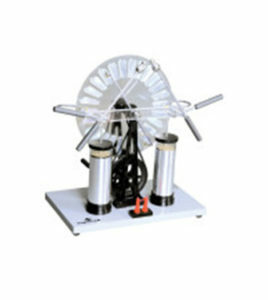 This traditional electrostatic charge generator consists of two parallel transparent discs supported on rigid uprights. Each disc has a number of radial aluminium segments and are driven in opposite directions by hand wheel and belt. The electrostatic charge on aluminium segments is collected by combs mounted on either end of the discs and stored in the two leyden jars. When the potential difference between the jars is sufficiently high. A spark will flow between the adjustable discharging spheres. and therefore the bulb of conductivity meter does not glow at all. 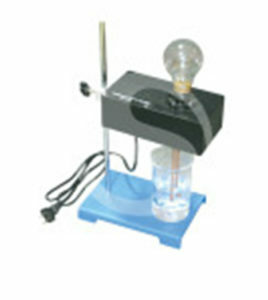 Bulb provided is large and bright enough to be seen by the entire class. The conductivity meter includes a clamp on the back for attaching to a support stand. Instructions and appliance bulb are also included. Decades of reliable, top-quality engineering. 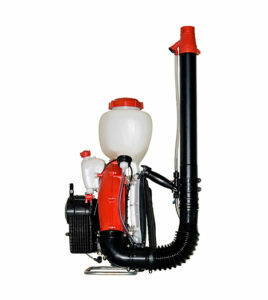 4,1 HP engine and optimal adopted blower produce a fine spray with horizontal reach of approx. 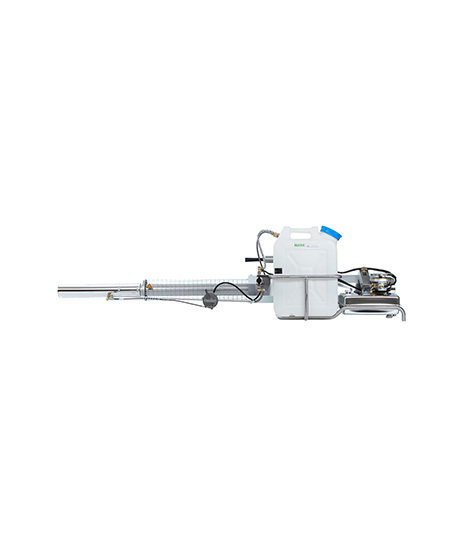 12 m. This makes the PORT 423 particularly suitable for application of spraying solutions in plantations, forestry or for disinfection. Increased efficiency allows higher speed and improved blower performance. 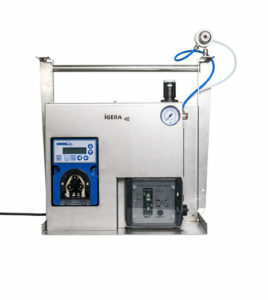 The CF-1P is equipped with a special dosing pump allowing a step less output regulation between 0,002 and 2,0 l/h. It includes a suction line for any individual container. The multi timer with interface for external control allows several control modes. A second dosage nozzle can optionally be added.